One brooding and steamy day in February, so still in summer, the weather finally decided to go into action and rain on my patch. But it wasn’t completely decisive, as it retained the bright light and heat of sunshine as well. 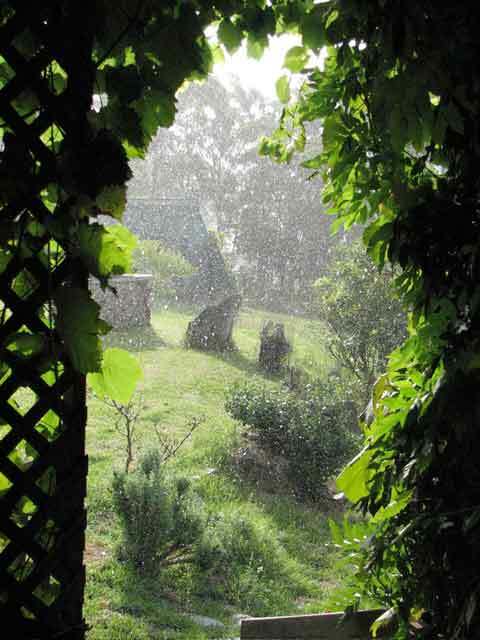 From my verandah, the sunshower looked like it was raining diamonds, but on ‘film’ it looked like snow, as you see. Mountain weather is full of surprises!